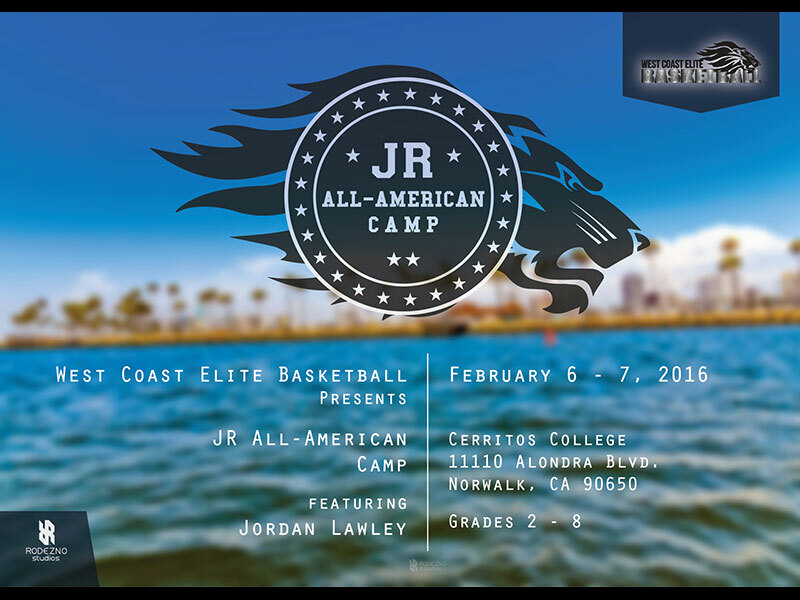 We designed a digital marketing announcement for one of our great clients, West Coast Elite Basketball, for their JR All-American Camp. We also created a new logo for this event and supplied a Rodezno Studios licensed photograph shot in Long Beach, California to support the design. We’re proud to be involved with West Coast Elite Basketball, supporting them with several web solutions, e-commerce, digital content, digital marketing materials, branding services and many other services. Services Provided: Logo and branding strategy, digital content, digital marketing content & strategy, photo editing, Rodezno Studios licensed photos, webmaster services, I.T. services.